19 February 2018, at 12:00a.m. More than one farmer a week in the UK dies by suicide. 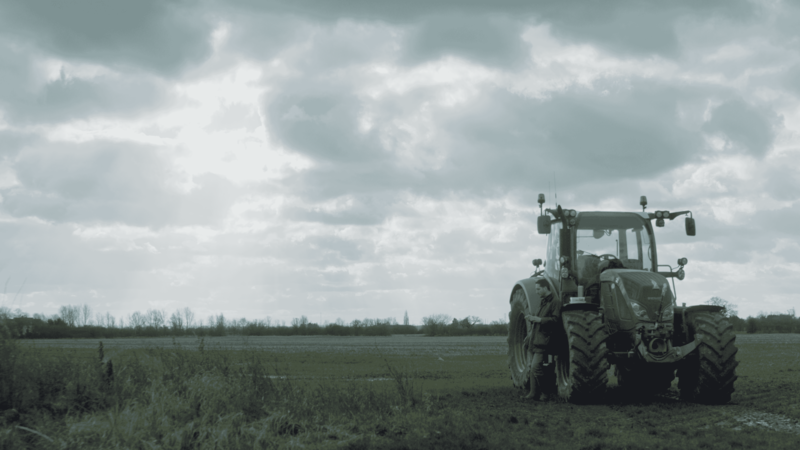 Leading farming charity, The Farm Safety Foundation, discusses mental health with UK farmers. In an industry with the poorest safety record of any occupation in the UK, stress is often a key factor in many of the accidents, injuries and illnesses taking place on farms. Stress is something that many farmers face at some point and is an important contributor to mental health problems. It can come from many sources such as financial pressures resulting from market fluctuations, livestock disease or poor harvests, but concerns about Brexit, policies, administration and legislation can also take their toll. The situation is compounded by the fact that farming tends to be an innately conservative culture and some still perceive a stigma attached to mental health. This can hinder people’s willingness to speak about the issue and to seek help for themselves. The Farm Safety Foundation’s inaugural ‘Mind Your Head’ Campaign aims to encourage farmers and farming families not to neglect themselves, but to put themselves first, ‘open up’ and get some help and advice on whatever concerns they have. After an extraordinary journey from the depths of depression to one of the most universally respected international rugby referees, former president of the Wales Federation of Young Farmers’ Clubs, Nigel Owens, 46, from Carmarthenshire, is all too aware of how easily things can get out of hand when you don’t open up and you allow stress to take over your life. In his mid-twenties, Nigel lacked self-esteem about the way he looked and he was ashamed of being homosexual. Coming from a small farming community, he did not want anyone to know and did not know where to turn. This led him down a dark path where he became addicted to steroids and suffered from bulimia. On one particular occasion, he tried to commit suicide at the top of Bancyddraenen Mountain, overlooking the village he had lived in all his life, Mynyddcerrig. Thankfully, he didn’t succeed and he received help to get him mentally well. The mind is a powerful tool which can be positive and helpful, as well as negative and destructive. From experience, if we don’t open up and talk about how we’re feeling and what we are struggling with, we can end up becoming anxious and depressed. I’m delighted to support the ‘Mind Your Head’ Campaign because the farming community need to know they are not alone and that there should be no taboo about asking for help. When it comes to important farm safety equipment, people usually think of tractor roll bars, shedding gates for livestock and high-vis clothing. But there is another piece of kit, which when used properly, is even better – the mind. It is very easy to underestimate just how important the mind is when it comes to farming. Along with the body, it is, without doubt, the best bit of kit a farmer can have. The Farm Safety Foundation does amazing work in providing advice and resources about farm safety and encouraging farmers to take all relevant safety precautions before carrying out their work. However, if your mind and body are not well-maintained, as well as your machinery, it is very easy to become less conscious of the dangers around you. Talking to someone about your problems is often the first step to improving your mental wellbeing. But who? If not family or friends, then why not speak to someone you don’t know – someone you have no emotional attachment with, but who has a great understanding of what you may be going through? This is exactly what the FCN offers - free, practical and pastoral support to farmers and families within the farming community. Many of the 400 plus FCN volunteers are involved in farming and have a unique understanding of the issues facing the agricultural industry. Mental Health is an issue that is very much at the heart of the farming community but one that few farmers feel comfortable discussing. The purpose of this ‘Mind Your Head’ campaign is to encourage conversations and address the stigma surrounding mental wellbeing. It’s about looking out for each other, reminding farmers to ‘Mind Your Head’ and letting them know that there are organisations out there who want to help. The pressures of farming aren’t going to disappear, so as a farmer you need resilience, smart strategies and specific skills to live well and farm well. The first step to improving your mental wellbeing can be as simple as talking to someone.